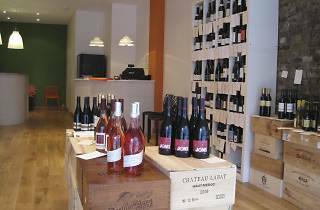 This Balham wine bar and shop focuses on smaller producers, with more than 400 bottles available in store and more than 20 wines by the glass. Customers can either take a bottle away with them or they can drink in for a flat fee. Keep an eye out for wine tastings and other special events – including live music. There's food too, with cheese platters, charcuterie boards, seafood plates, Catalan almonds, goose rillettes and hare and Armagnac terrine some of the options available. We specialise in smaller producers, trying to find truly expressive wines which over-deliver for the price. Tasting events every Thursday evening and. Live blues every Friday and Saturday night. Try before you buy, drink by the glass or bottle and have a bite to eat, too. Open 11am-9pm Mon, Tue; 11am-9pm Wed-Sat; 10am-7pm Sun. This place is one of my new favourite finds in an area that I thought I knew quite well. That’s what I love about London, there’s always new surprising things popping up on your doorstep! What I thought was an ordinary little wine shop by day turned into a cute jazz bar by night. My friend and I popped in by chance on the way to somewhere else when we saw some live music through the window and thought, one glass can’t hurt right!? The duo band were a lively bunch and everyone was in high spirits for a Friday night. Once nice touch was when I went up to order and couldn’t immediately choose a type of wine, the barman/ shop assistant offered to let us taste a couple first, like a mini wine tasting! The shop closed up around 11pm and it was honestly one of the nicest spontaneous evening I’ve had in a while. Go visit and drink lots of wine. Always helpful, always informative and welcoming. Can't wait to try one of their wine tasting classes! A unique wine shop that combines excellent wine sales with tastings, friendly, expert staff and a laid back, friendly atmosphere. Love it! Best place ever. Been going 5 years and I still love it as much as ever. Excellent wines, relaxed atmosphere, great tastings, super music at the weekends, and great sharing platters. 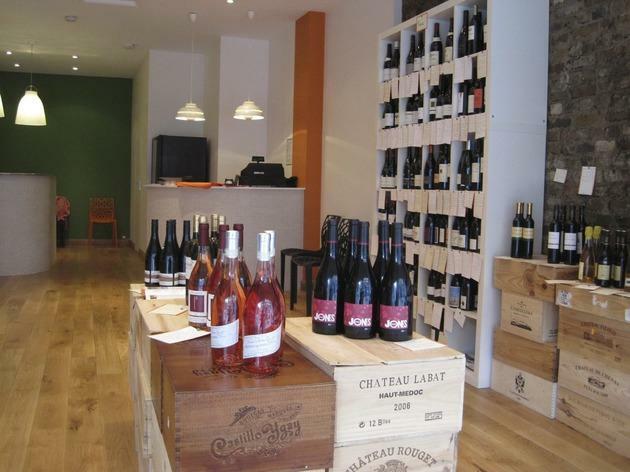 Super friendly, experts and with honest prices for very very very good wines. Great variety of wine to buy and take home - or enjoy on the premises with cheese or charcuterie. This place is THE BEST!!! Amazing selection of wines, cool vibes, music in the evening. The French owner even arranged vouchers for me as a thank you from a house guest in New York - go now! This is a fab place. Not sure I would call it simply a wine shop. At the weekends it turns into a bar reminiscent of "Cheers". Julia and Manny make everyone feel really welcome and their knowledge and enthusiasm for wine and running are infectious. They have wine tastings which are great if you don't know much about wine (no pressure just drinking nice wine). The wine is slightly more expensive than usual but I am always happy to pay extra as it's really good. Now I get why it makes sense to spend a bit more on wine. Why buy wine at Waitrose for £8-10 which is as likely to be stale as not when WTS charges you a couple of quid more for something a lot better?